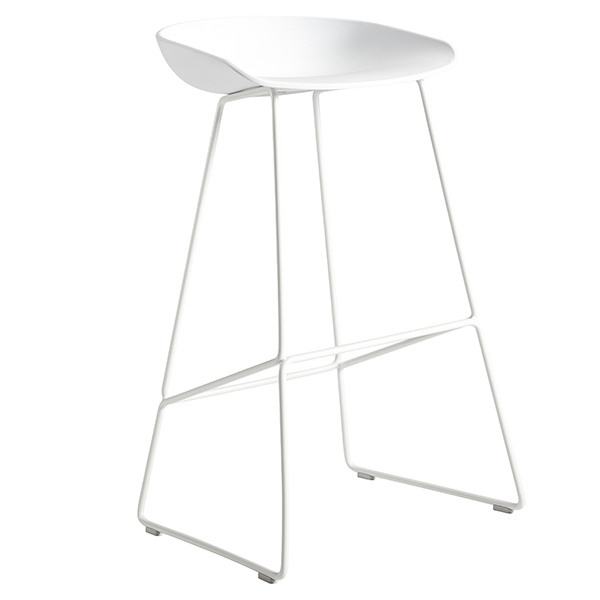 About A Stool AAS38 by Hay combines a sleek metal frame with a streamlined polypropylene seat. A result of close collaboration between designer Hee Welling and Hay, About A Stool bar stools are part of the About A Chair collection featuring chairs with outstanding simplicity and combinability. With About A Chair collection, Welling wanted to reach a new level in the combination of shape, function, comfort, detail, and esthetic. 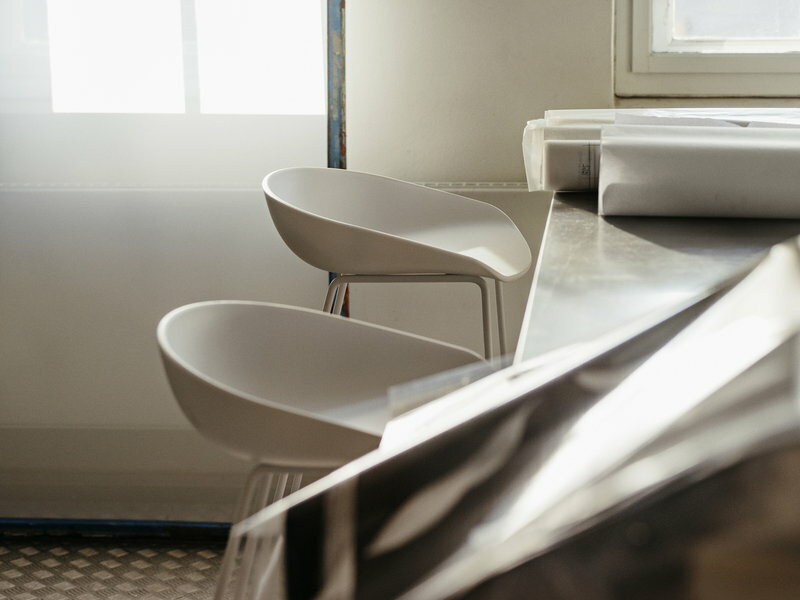 The idea behind the collection was to develop a chair which works well around the dining table, around a conference table, as well as in a restaurant, cafeteria or at the office. 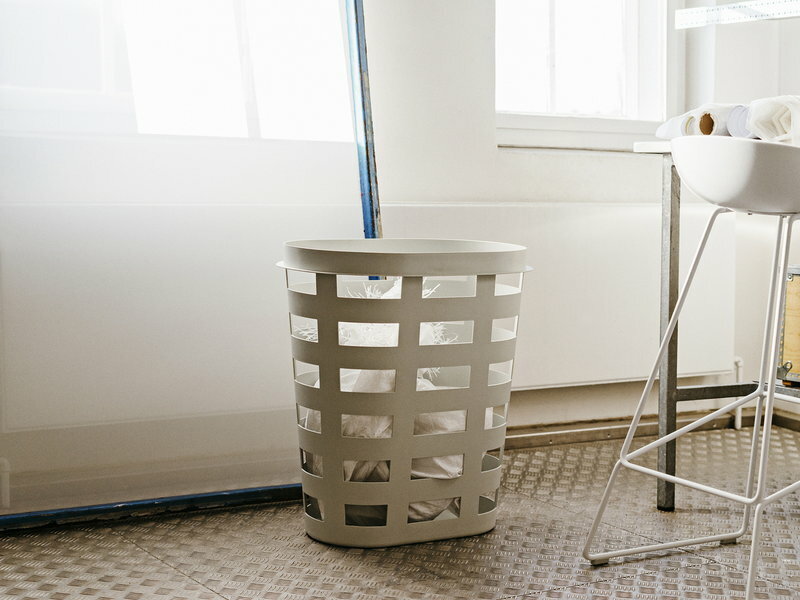 Due to their simple and plain design, the chairs can be combined with many types of furniture and interiors. 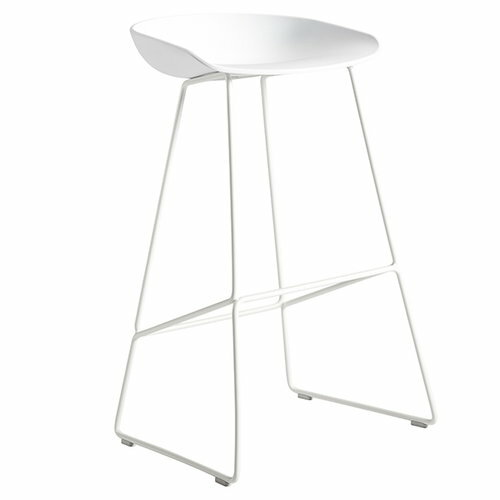 Low stool is best suited for approx. 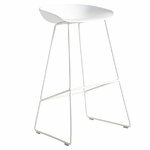 90 cm high tables and the higher stool is best suited for approx. 110 cm high tables.